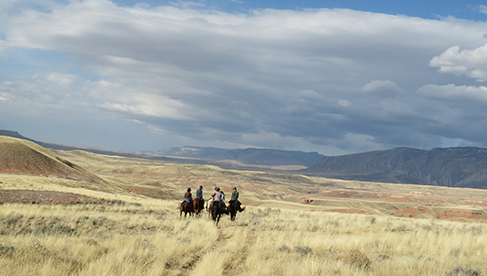 The Trapper Creek Ranch, located in Shell, Wyoming – East of Yellowstone National Park and Cody, is exclusively dedicated to riding, horses, horsemanship, clinics and training. 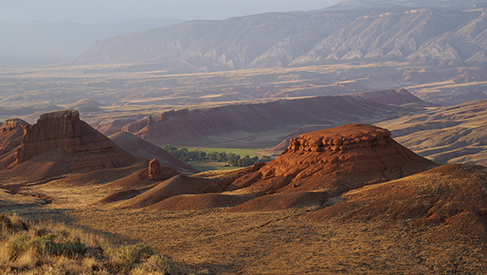 This breathtaking private ranch property is located at the end of a road surrounded by public lands in all directions. 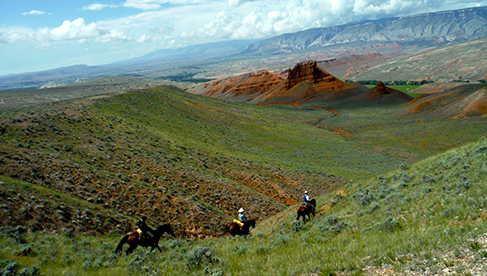 One of the first guest ranches in this part of Wyoming, it has been operated on the property from 1899 through 1926. Famous guests include Owen Wister, Hemingway and Teddy Roosevelt. 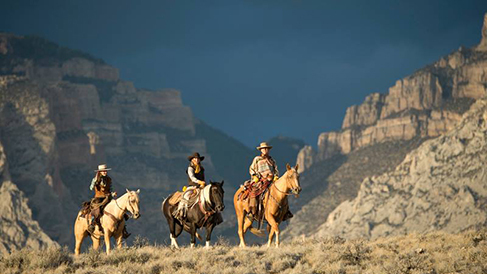 The owners of the ranch also own The Hideout Lodge & Guest Ranch, an upscale riding, horsemanship and working cattle guest ranch offering also non-riding activities. 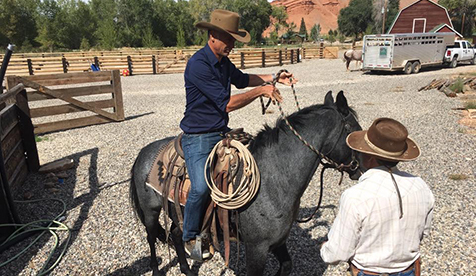 A growing number of ranch guests at The Hideout showed interest in a separate natural horsemanship and clinic experience to learn and improve riding and horsemanship skills. 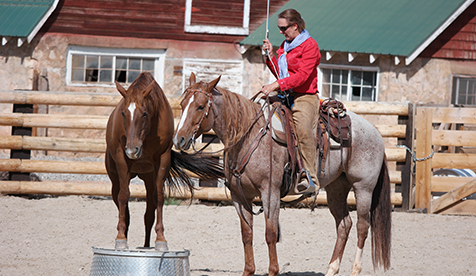 As a result, The Trapper Creek Ranch partnered with long time 3 Star Parelli trainer Farrah Green to host and lead the clinics and retreats. 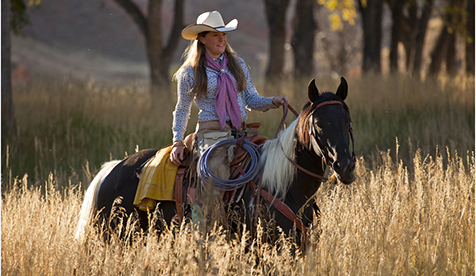 Farrah is from Wyoming and conducted clinics and training workshops in the US and Canada. 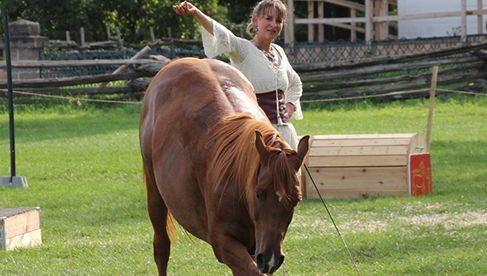 She has a unique and all-around background in the equestrian disciplines of Western, Classic Dressage, Natural Horsemanship, Cowboy Dressage and Eventing. 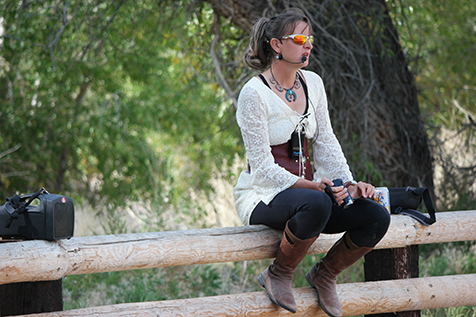 Farrah is a great communicator and clinician for both people and horses. 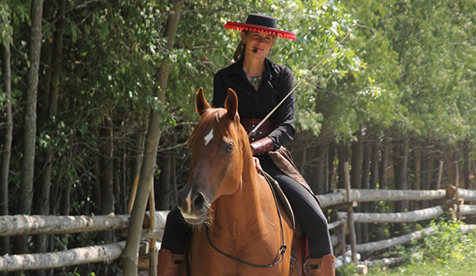 She welcomes riders from all levels and backgrounds for these equestrian experiences. 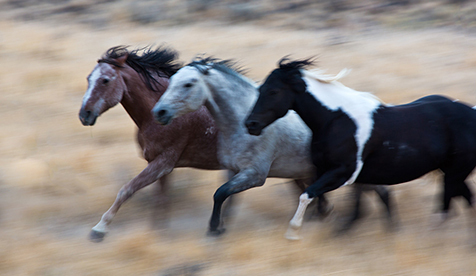 From beginners to very experienced riders. Farrah really cares! 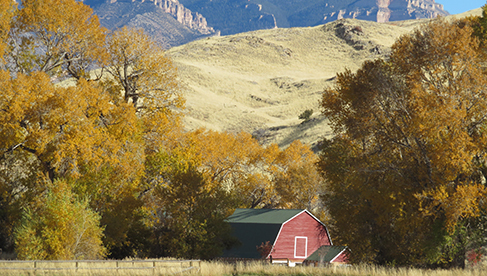 The four participating guests stay in The Trapper Guest House, called The Bunkhouse. 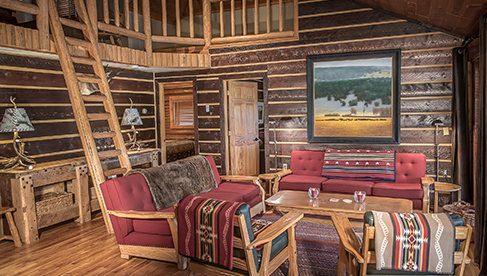 This log cabin was built in 1926 and restored in 2015 comes with a full kitchen, three bedrooms, two bathrooms, a loft, internet, air conditioning and heating. 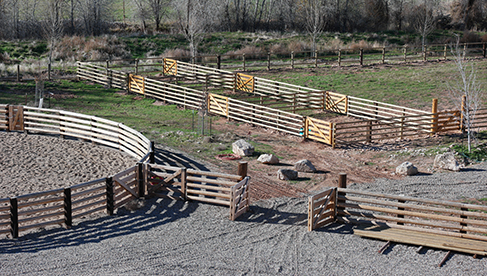 During the clinic week the participants will work hands-on with Farrah in the arena and round pens, but will also have the opportunity to go riding to practice their newly learned skills. 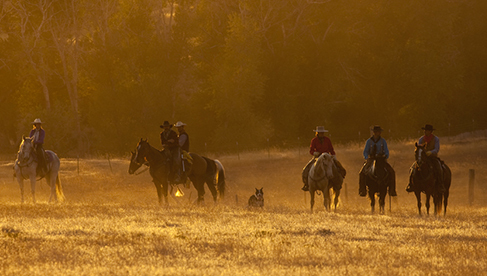 Students can bring their own horse or use horses from the ranch. 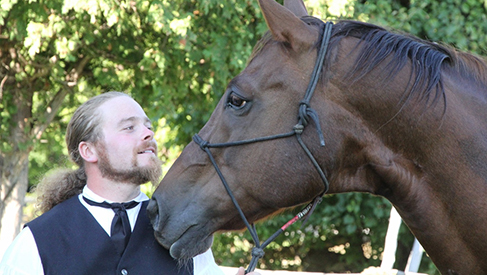 Trapper Creek has a variety of horses of different levels of experience for the students. 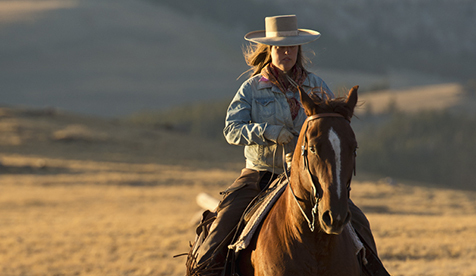 5-Day Natural Horsemanship Clinics with 3 Star Parelli Clinician Farrah Green at The Trapper Creek Ranch, Wyoming. Limited to 4 participants only. Early Bird Rate of $2,400 if you sign up before April. Learn more. Email Trapper Creek Ranch. 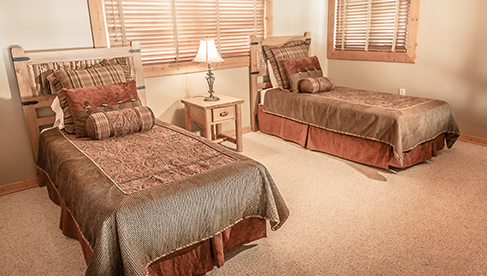 Call 307.765.2080. 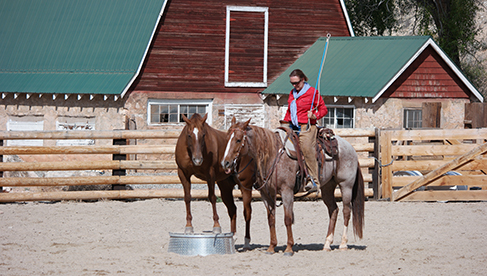 Natural Horsemanship, Riding, Communication with horses, Yoga – Focus on playing and learning with horses – Parelli Natural Horsemanship Training and Coaching. 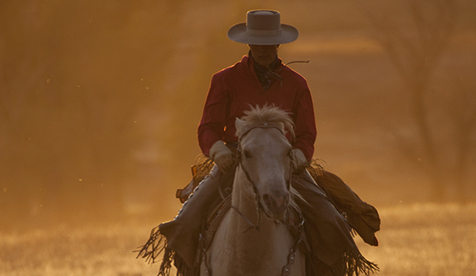 English, Western, Classic, Dressage – Natural Horsemanship. All levels of riders.